On 17 November 2017, the International Election Observation Mission (EOM) to Somaliland’s presidential election have released a press statement following worrying developments of violent riots in which 7 people have tragically lost their lives. Dr Michael Walls, chief observer of the EOM, urges all complaints to be considered within ‘the context of the legal channels designed to provide a full and fair hearing’, calling on all parties to show restraint and reminding that ‘violent protest undermines the peace that Somaliland has built so painstakingly over the years’. The EOM still maintains a small team on the ground to report on post poll developments and has expressed its regret over the loss of lives. It has additionally stressed the capacity of Somaliland’s National Election Commission to assess disputes and issues, with a period of seven days after initial polls to lodge complaints to the supreme court. Somaliland’s presidential elections were held on 13 November, where UNPO had a delegation to observe the elections. With post-election disturbances reported in Somaliland while results are awaited, the International Election Observation Mission (EOM) is aware of complaints and grievances about the electoral process. We urge complainants to pursue those grievances through the appropriate customary and legal channels, where evidence can be assessed in full and judged on its merits. The EOM, which was invited by Somaliland’s National Electoral Commission (NEC), supports the NEC in its important work to calculate and announce preliminary results as soon and as accurately as possible. We reiterate the NEC’s call for all parties to exercise restraint and to use peaceful means to lodge complaints. Earlier in the week, the EOM issued statements reporting a largely peaceful and well-organised polling day in areas observed, but with some concerns about the process; points that were reiterated at press conferences. The EOM, which still has a small team of observers in Somaliland to report on the post-poll process, stands by those statements, and is concerned by unfolding events. We deeply regret the loss of life that has already been reported, and call on all Somalilanders to work to maintain the peace and to respect due process as results are finalised and complaints considered. Amongst other things, the EOM gathered detail on the legal channels offered in the event of disputes. Specifically, we note that there is capacity for the NEC itself to assess issues, and that following the declaration of preliminary results, there is a period of seven days in which formal complaints can be lodged through the Supreme Court, and that Somaliland custom also supports robust mediation and discussion. We therefore remain convinced that appropriate customary and formal avenues are available for the peaceful pursuit, consideration and adjudication of disputes. Somaliland has built an impressive record in exactly that area, and we are extremely disappointed to see the undermining of those mechanisms. This is a time for restraint from all parties, and we call on political leaders to urge supporters and colleagues to respect the foundations that have been built over the past 26 years. 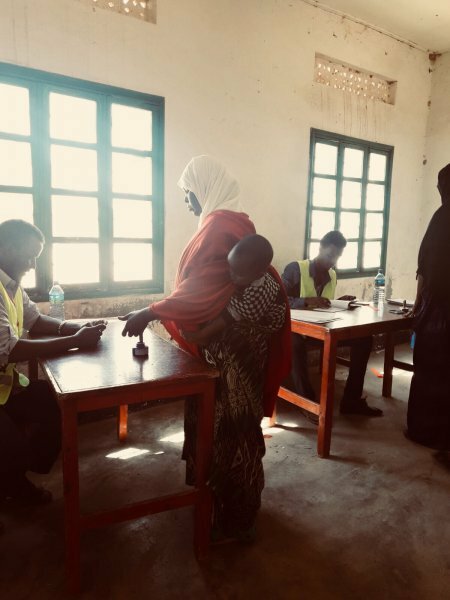 The EOM, funded by the British government, observed approximately 350 polling stations and tallying centres across Somaliland’s six regions on polling day and immediately after. The Mission will deliver its preliminary report to the National Electoral Commission by 20 November, and will release its final report in mid-2018.